Reinforce your print ads with digital solutions that build out your presence online. The team at Valpak of Central Florida has earned its Google Ads certification and can help give you an edge when it comes to pushing your business into view of potential customers in online search results. We can design a small business website connected to valpak.com, optimize it for search engines and enhance it with pay-per-click and social media campaigns. The proof is in the performance. And you can track each of Valpak’s efforts to build more bridges between consumers and your business via our performance tracking tools. Find out who called, from where, why and what time they did by using our call tracking tool. Find out how often consumers visit your website, how frequently they click on ads and more. We account for every dollar of your ad spend so your ROI is always clear and easy to understand. And you can track those dollars as they spread across Central Florida and nudge new business your way. Valpak of Central Florida can extend your organization’s reach into as many as 100,000 households in cities such as Ocala, Clermont, Lady Lake, Four Corners, Summerfield, Leesburg and The Villages. For specific dates and coverage, contact your Valpak of Central Florida representative. 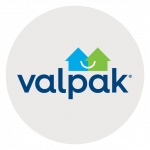 Valpak of Central Florida is an independently owned Valpak franchise.